Smart appliances such as TVs and fridges have little protection from hackers and may be used by cyber-criminals to invade your privacy. High-tech appliances with PC-like features, including Internet connectivity, apps, microphones and cameras, are easier to hack than we may think. In 2014, cyber-criminals created a “botnet” which hijacked 100,000 devices, including routers, TVs and a fridge. 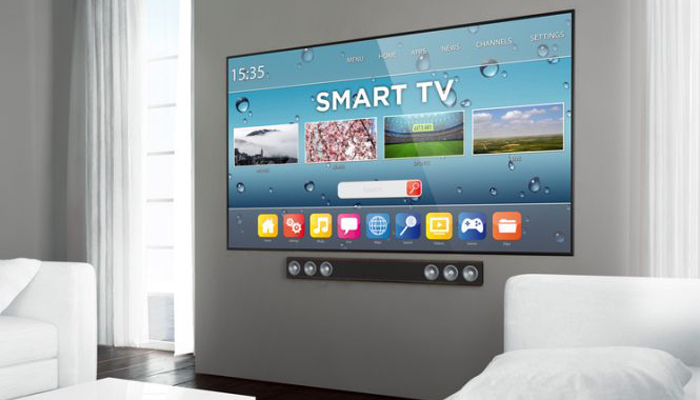 Further, in 2013 a security hole was discovered in some Samsung Smart TVs. The flaws in Samsung Smart TVs, which were patched shortly after, enabled hackers to remotely turn on the TVs’ built-in cameras without leaving any trace of it on the screen. While you were watching TV, a hacker anywhere around the world could have been watching you. Samsung quickly fixed the problem after security researchers at iSEC Partners informed the company about the bugs. Samsung sent a software update to all affected TVs. However, the glitches point towards a larger problem of gadgets that connect to the Internet but have virtually no security. In the case of Samsung Smart TVs, it was found that the TV’s web browser could be tapped into with ease which gave hackers access to all the functions controlled by the browser, including the TV’s built-in camera, according to iSEC security analyst Josh Yavor. “If there’s a vulnerability in any application, there’s a vulnerability in the entire TV,” said Aaron Grattafiori, also an analyst at iSEC. Samsung had also recommended that customers use encrypted wireless access points. The iSEC crew said that though Samsung had patched the bugs it did not mean that there weren’t other ways that could be discovered in the future. The analysts said that customers should run regular updates from vendors like they would for anti-virus definitions or system updates on the smartphone. And when all else fails, users can always put tape over their cameras.